COPA – Professional Archaeology for HS2. Cotswold-Oxford-Pre-construct Archeology. 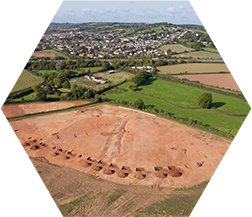 COPA is a consortium formed of three of the largest and most successful commercial archaeological contractors in the UK: Cotswold Archaeology, Oxford Archaeology and Pre-Construct Archaeology. We have a combined turnover of c £25m and, between us, a total of 92 years in business. 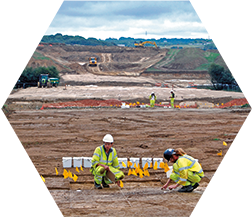 This joint arrangement brings together three highly experienced Chartered Institute for Archaeologists (CIfA) Registered Organisations, each with a long established track record of delivery of large-scale and high-quality projects. 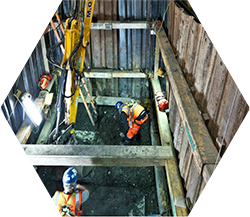 We have come together to allow us to bid for elements of the archaeological work required during the HS2 Phase 1 Enabling Works and beyond, and in response to the likely scale and programme constraints of the works. Our shared values, commitment and experience make us a natural fit – COPA as a whole will be far greater than the sum of its parts. Our combined capacity and expertise will help ensure success, both in terms of the resource levels required but also in the provision of the innovative and responsive approach that will be needed on archaeological works of such an unprecedented scale. 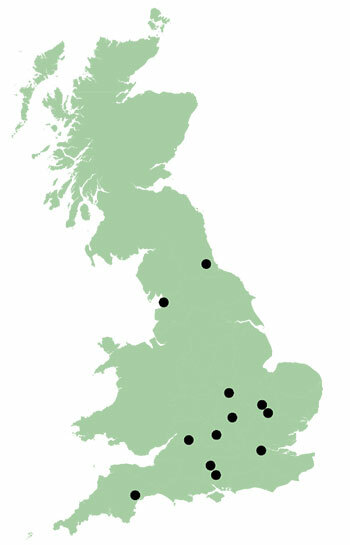 In addition to our combined capacity of over 650 staff, together we have offices in London, Oxford, Milton Keynes, Cambridge (x2), Winchester, Andover, Market Harborough, Cirencester, Lancaster and Durham. We currently employ 16 Senior Managers, 79 Project Managers, 148 Project Officers and Supervisors, 26 Surveyors and Geomaticians, 23 Illustrators, 62 Specialists (covering a very wide range of Finds and Environmental specialisms, as well as Osteoarchaeology, Geoarchaeology and Historic Buildings), 6 IT Officers, 7 H and S Advisors, 30 Finance and Admin staff and 255 Field Technicians. All are employed on a full time basis.